Post-season evaluation of the deer on your hunting property can give you a leg up on planning next season’s harvest goals. The Carolinas offer two of the longest deer seasons in the nation, giving hunters more than a hundred days to get the job done. Deer hunters aren’t all created equal, either. Some hunters are purely after meat; any combination of does and bucks is sufficient to fill the freezer. For others, tasty venison is merely a bonus after their record-book buck makes it to the taxidermist. With deer season finally over as the new year arrives, hunters can compare their harvests with their preseason goals. Deer-management strategies have changed over the past three decades for hunters and regulators. For the greater part of the past century, management decisions were wholly depicted by state regulations, and hunters shot deer based on their daily or season limits. As tasked, state deer biologists make management decisions based on keeping the deer population healthy and self-sustaining. In the Carolinas, wildlife agencies don’t regulate buck or doe harvests by any age criteria. 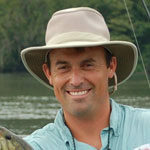 If any age-selected harvest goals are made on a personal or club level, they are customized by the property managers. Deer hunters continue to evolve from shooting sheer numbers to unique selections for older, mature animals. Hunters aren’t just looking to fill the freezer anymore. Many want to take a trophy deer they can hang over their fireplaces and admire each and every day. In the past, many hunters in the Carolinas believed that trophy, world-class bucks were only possible in the midwestern states, Texas, and Canada. While the Carolinas may not produce the number of world-class whitetails as Ohio and Kansas, they have shown over the past decade that big bucks are possible here. The habitat and genetic lineages in the Carolinas have the potential to produce some real wall-hangers. The Big Buck Gallery in this and past issues of Carolina Sportsman sure show the results, with many bucks reaching 140 inches or more. Both Carolinas have produced some world-class bucks over time. Since 1974, South Carolina has had its antler record book, which now has more than 7,200 entries scoring 125 or better, using the Boone & Crockett Club’s scoring system. The biggest typical in South Carolina is still William Wyatt’s 176-inch buck, but the S.C. Department of Natural Resources’ antler scorers are staying busy, with 226 new entries last year, including 32 bucks better than 140 typical inches, 14 in the non-typical category between 145 and 175 inches. The 50 biggest of all time are 165 typical inches or better. A look at North Carolina’s records shows hunters are doing even better, with double-digit records of bucks scoring over 170 typical inches and two in the 180s, with non-typical bucks busting the 200-inch mark. Even though a record-class buck is certainly possible in all areas of the Carolinas, a few select counties are producing more high-scoring bucks than others. Bucks with trophy headgear come from advanced nutrition, maturity and a top-shelf genetic strain. Hunters have a limited reach for controlling the populations of deer on their farms. But there are certainly strategies hunters can indoctrinate into their overall management plan to make a difference in their season outcome. Basically, hunters can improve the ratio of quality animals on their properties by adhering to selective harvest guidelines and nutritional improvements. For the modern hunter, advances in technology have provided a true advantage over hunters in the past. No longer must we rely totally on tracks, glassing summer agriculture fields, and other personal interactions with deer. Few hunters are left who don’t use trail cameras throughout the year. By Labor Day weekend on heavily managed tracts, hunters have identified all but a few bucks. And they have classified them on the shoot or not-shoot list. Of course, there is always a newcomer that shows up and surprises hunters when least expected. Regardless, hunters can analyze their trail-camera data at the end of January to see what bucks survived the season, and they can examine what their doe-to-buck ratio looks like. Fortunately, there is little food available in the woods or fields this time of year. So a healthy food plot, or a pile of sweet potatoes or corn will bring in every deer to a trail camera. Typically, when deer find plenty of food, water, and cover on properties in January, they will often remain residents throughout the winter and into spring/summer. A preseason evaluation is important. And the post-season review of the effects of the previous season’s harvest can be as important to understand what’s left and how hunters can make improvements to harvesting guidelines for the next season. Plants require a cocktail of nutrients to fulfill chemical reactions and fuel growth. Potassium is one of the top three macro-nutrients required for growth. All living cells in both animals and plants require potassium to properly function. Potassium is mined as potash from the Earth’s crust to use as plant fertilizer. Potassium is a major player in photosynthesis. It is primarily responsible for nutrient transport, water transport and protein and carbohydrate synthesis. Without available potassium ions in the soil, the primary energy molecule, adenosine triphosphate (ATP), wouldn’t be created, either. If potassium is deficient, plants will be stunted and crops will produce low yields. Potassium is absorbed through the root system as potassium ions. It must be water soluble in order for plants to absorb it and receive benefits. For the best absorption, soils must be moist and well-aerated. Fortunately, plants will exhibit clues when potassium deficiency is a problem. Each plant will express a slightly different variation. But yellowing around the leaf edges and exfoliation are tell-tale signs of a potassium deficiency. Potassium is a critical component to any soil management program. 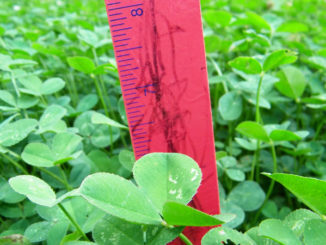 It must be applied at planting to make sure young plants get a good start. Check the crops of any quail you harvest this season to determine what foods it prefers. It may help when it comes to improving habitat for the gamest of gamebids. Deer season ends as the New Year arrives and duck season trails off later this month. So diehard hunters will start entertaining their small-game spirit. Quail habitat will certainly give their spaniels, setters and pointers some hours in the briars. Then they can examine birds they harvest to see what foods are making them stick around. 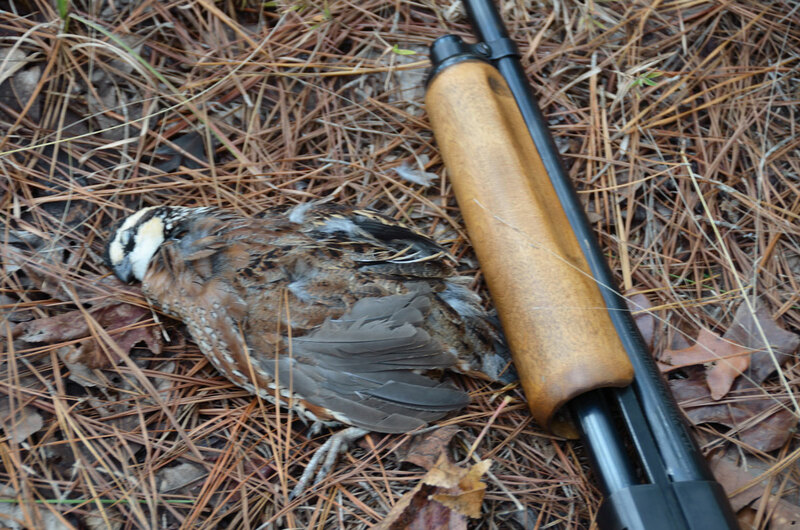 Historically, bobwhite quail dominated the grasslands, woodlands and agriculture regions of the Carolinas. 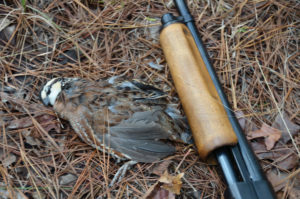 While populations are available to keep a hunting season, the bobwhite quail is declining over much of its range. Landowners with a love for quail spend many hours and dollars manipulating habitat to benefit these 6-ounce birds, which have barely enough meat to feed a small child. When some tracts of land seem to hold more birds than others, it’s generally improved habitat conditions that produce higher numbers. Escape and nesting areas are critical parts of quail habitat. But ultimately, food must be available to maintain life for these pint-sized game birds. 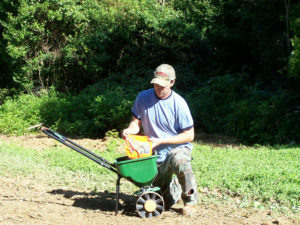 Landowners will manipulate their land by planting food plots, prescribed burning, mowing and discing to improve quail habitat. Knowing what birds are actually eating will help tell landowners where birds are making a living. Hunters should examine every harvested bird to see what types of seeds are in the crop. Birds will typically eat preferred foods first, before less-desired foods. Also, it can be a good way to see if prescribed burning and mowing have helped provide a food source devoured by quail, or if unharvested grain left around a field edge was beneficial and used by quail.